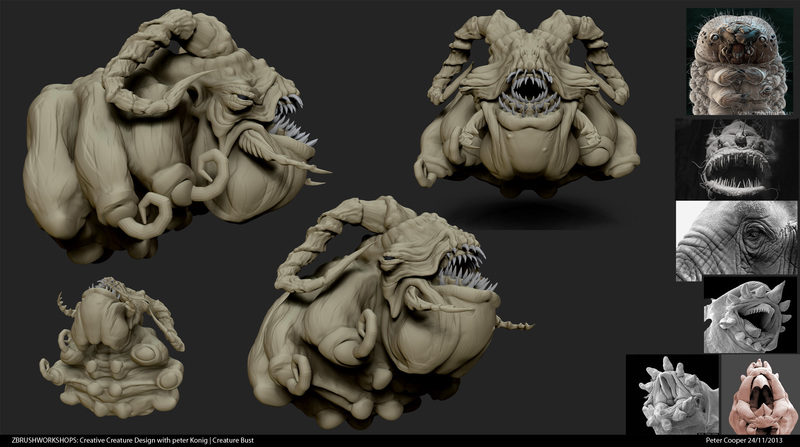 This is creature concept version 2.0. I wanted to integrate some of the techniques Peter showed us during one of our previous classes. During my recent crit, it became clear I’m going to need to work back into the design and streamline some areas. The horns for example are perhaps too sophisticated relative to other parts of the creature. I’m also toying with the idea now of taking away the eyes completely. Peter’s guidance was fantastic. I’ll be reworking this guy, so an update will follow soon. ← Happy 50th Birthday Doctor Who !